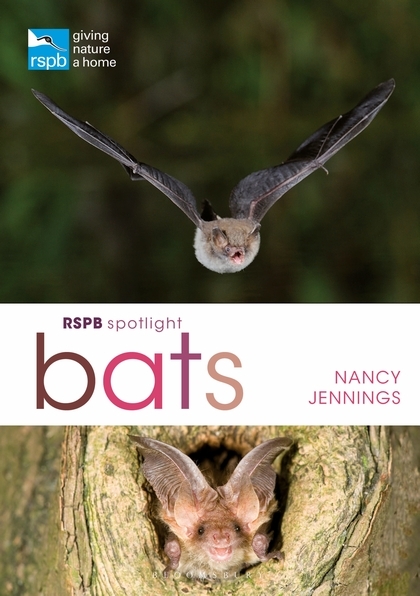 This Spotlight title features all 17 species of bat that live and breed in the British Isles, as well as an array of the most fascinating bats from around the world. Thanks to their speed, size and nocturnal habitats, bats are among the most interesting and least understood mammals that frequent our homes and gardens. From their ability to make sounds that are above the range of human hearing, to their reliance on echolocation to navigate objects and find prey, their unique behaviour means that bats are seldom seen or heard. With nearly 1,400 species worldwide, bats make up around 25 per cent of all mammal species. Spotlight Bats features all 17 species that live and breed in the British Isles, as well as an array of the most fascinating bats from around the world, including some of the more charismatic species such as vampire bats and fishing bats. Nancy Jennings uses up-to-date research to provide insights intothe lives of these elusive mammals, covering the biology, diversity, evolution and ecology of bats, as well as their interactions with humans and folklore. The Spotlight series introduces readers to the lives and behaviours of our favourite animals with eye-catching colour photography and informative expert text.